Considering all the cool (not to mention powerful and sophisticated) things that you can do with Customer Insights, you will likely be amazed at how easy the product is to use. In fact, the hardest thing about learning your way around Customer Insights will likely involve learning a few terms - Looks, Explores, Spaces - that are largely unique to the product. Shared, a space where you’ll find Dashboards and Looks that have been made available to everyone in your organization or everyone is a specified group. Users (which, technically, is where your personal space is actually stored). If other users grant you access to their personal spaces, you can access those spaces from the Users space as well. If there’s not, then you can’t. At first glance, perspectives seem to be just another name for spaces; after all, both perspectives and spaces are shown on the Browse menu, and both perspectives and spaces provide links to Dashboards and Looks. So then what is the difference between the two? The primary difference is that perspectives are strictly for navigational purposes: they provide links to Dashboards and Looks, but you cannot create and store Dashboards and Looks in a perspective. Home. Provides links to Dashboards and Looks that might be of interest to you. Favorites. Provides links to Dashboards and Looks you have marked as favorites (similar to bookmarking a page in a web browser). Popular. Provides links to the most popular (i.e., the most-viewed) Dashboards and Looks. Recently Viewed. Provides links to the Dashboards and Looks you have most recently visited. If you know what a car dashboard is then you have a pretty good idea what a Customer Insights Dashboard is as well. In a car, a dashboard serves two purposes: it provides you with information at your fingertips (how fast are you going, how many miles have you traveled, how much gas do you have left in the tank) and also provides controls for interacting with the car (you can change the radio station, you can turn down the air conditioning, you can enter a new destination into the navigational system). Do you have to reach into the backset to turn on the radio, or open the trunk to check the oil pressure? Of course not: all those things are found on the dashboard. If a Customer Insights Dashboard is similar to a car dashboard, then a Look is similar to one of the gauges found on that dashboard. In a car, there will be a number of gauges, most of which do one thing: the oil pressure gauge tells you the oil pressure; the fuel gauge tells you how much gas is left in your gas tank; the temperature gauge tells you the current engine temperature. Looks perform a similar function. On a Dashboard you might have a Look that returns information about user demographics; a second Look that reports information about registration and sign-in events; and a third Look that tells you which web browsers are being used to access your site. 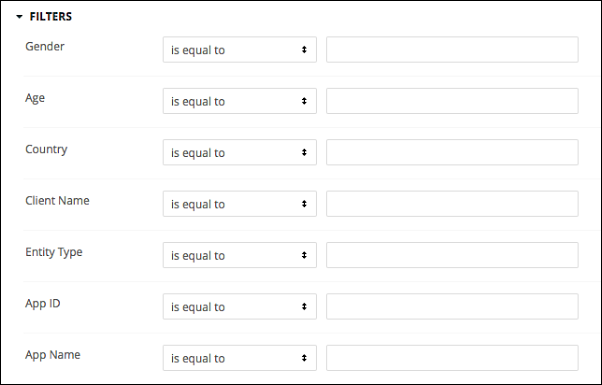 Like a gauge, each Look performs a single task, but combining multiple Looks (gauges) on a Dashboard can provide a way to monitor your entire site. Each little section of that Dashboard, each chart and graph (i.e., each visualization) is actually a Look. 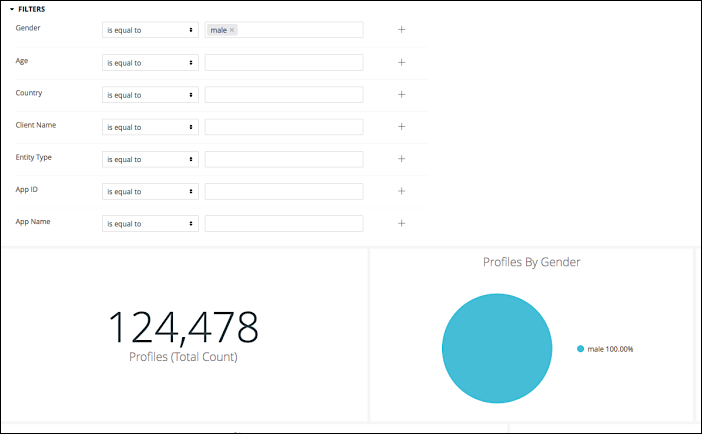 Looks retrieve and display data; Dashboards are just a way to gather a bunch of different looks in a single place. There’s also one other difference between Looks and gauges. If you remove a gauge from a Dashboard that gauge won’t be of much use: a speedometer pretty much has to be installed in a Dashboard in order to report useful information. That isn’t true of Looks, however: Looks do not have to be included in a Dashboard (a standalone Look returns the same information as a Look found on a Dashboard). Like we said, Dashboards are just a convenient way to organize multiple (and typically similar) Looks. Is it important that you know that App Dim is - for the most part - just a more user-friendly version of the table app_dim? No, not really. However, if you have experience working with databases, knowing that Explores are just database tables might make it a little easier to understand what you really doing when you use these Explores to create Looks. Although, as you’ll soon find out, Explores are pretty easy to understand regardless. Visualizations are the charts and graphs (as well as tables and text messages and maps and ….) used to display the data returned by a Look or an Explore. Note that all Looks and all Explores must include a visualization. If you don’t specifically choose a visualization, a default visualization (typically the column chart) will be selected for you. That’s a useful dataset, although it does contain 38,152,403 records (!). That’s a lot of records, especially if you’re only interested in Android browsers. Of course, if you wanted to, you could meticulously comb your way through all the records, looking only for those records where the Browser is equal to Android. In theory, and given enough time, that would work. That’s a little better, and that’s what filters are for: they help make your datasets more manageable. That’s what filters are for. And don’t worry: you won’t have to write these kind of queries yourself. Again, it just helps to know what happens when you do something in Customer Insights. When you use the point-and-click interface to create an Explore, you’re actually writing a SQL query like the one shown above. And when you click the Run button, you’re actually executing that SQL query. And when you read about queries in the documentation, well, now you’ll know exactly what we’re talking about.